Cover Reveal for Relics by Maer Wilson! 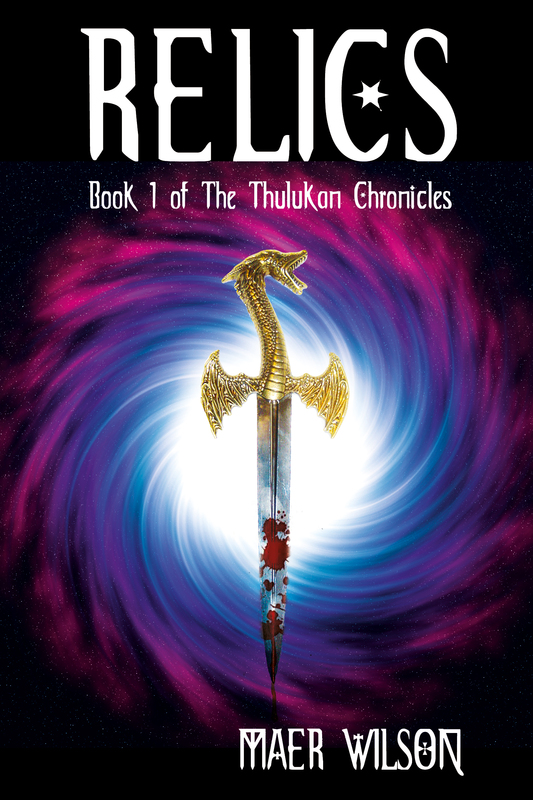 Today I’m featuring the cover reveal for Relics by Maer Wilson, soon to be published by Crescent Moon Press! Here it is! I’m totally adding that to my TBR pile! After a successful career being other people, and later teaching others the many tricks of that trade, Maer Wilson has decided to be herself for a while. Turns out she’s a writer. She’s always loved stories, especially fantasy, mystery and sci fi. Maer was born in the Year of the Dragon and has a dragon-themed room in her home, but sadly no dragons in the back yard. When she’s not writing, Maer plays online video games, teaches college and reads. She also co-hosts the literary podcast, “MythBehaving” and writes for two gaming fansites. She lives in the high desert of Southern Nevada with her two dogs, a chihuahua and a poodle. 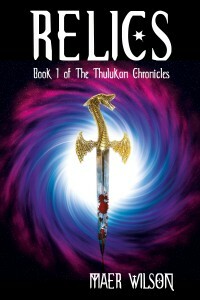 Relics is her first novel and will be released by Crescent Moon Press on May 1, 2013. You can visit her website at maerwilson.com. This entry was posted in Books, Cover Reveal and tagged cover reveal, Cres, Maer Wilson, Relics. Bookmark the permalink. 1 Response to Cover Reveal for Relics by Maer Wilson! Thanks, Shawna! I appreciate the reveal!